Community Blog by FAILCAST // Failcast episode 15 records tonight; also, our plans for PAX! Failcast episode 15 records tonight; also, our plans for PAX! 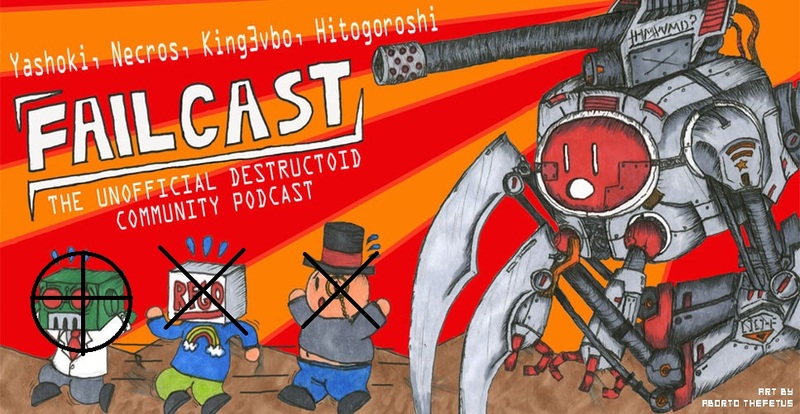 The time is nigh for yet another recording of everyone's favorite trainwreck, Failcast! This week's guest is Old Man Y0j1mb0, who remains the only member of the elderly to adapt to the internet. What you can do, dear listeners, is comment and ask us some questions or send us some segments to include on the show at [email protected]. As for topics, you should know by now that we figure them out immediately before recording, so feel free to ask any questions about the latest breaking game news, how awesome Yojimbo's beard is, community happenings, and why the hell Yashoki is playing WoW as of late. Also, I figure now's as good a time as any to announce that, yes, Failcast will be recording a show at PAX, the biggest community get-together of the year. If you're going to be at PAX (and really, you all should, don't give me your whiny excuses), then look up Necros and King3vbo, who are organizing the recording. If you want to be on the show, plan on bringing a USB mic; we'll have some pass-around mics, but it'll be much more reliable to bring one of your own, and maybe even a USB hub. The recording night isn't officially announced yet, since we want to see what other Dtoiders want to do, but those of you who can't make it, be sure to watch the cblogs, since we'll probably be trying to set-up something with you guys as well.